Come summer, I am flooded with requests for itinerary options for multi-city breaks in Europe. My suggestion to one friend to stay put in Paris with just five days on hand, didn’t go down too well. She was concerned there wouldn’t be enough to keep her occupied since she’d already ‘done’ the Eiffel Tower and Notre Dame cathedral on a previous visit! I never know how to respond to such questions. I have been to Paris three times – four if you include the 24hr sojourn as a ‘Thalys Explorer’ – and I could easily spend another week or more there and not run out of things to do. Itineraries depend largely on interests and on the time at one’s disposal. While it is certainly possible to replicate our whirlwind Thalys journey, it isn’t advisable. That was a demonstration of the services Thalys has on offer and was created for a group of experienced independent travellers who have probably visited several of those destinations before and will likely do so again. 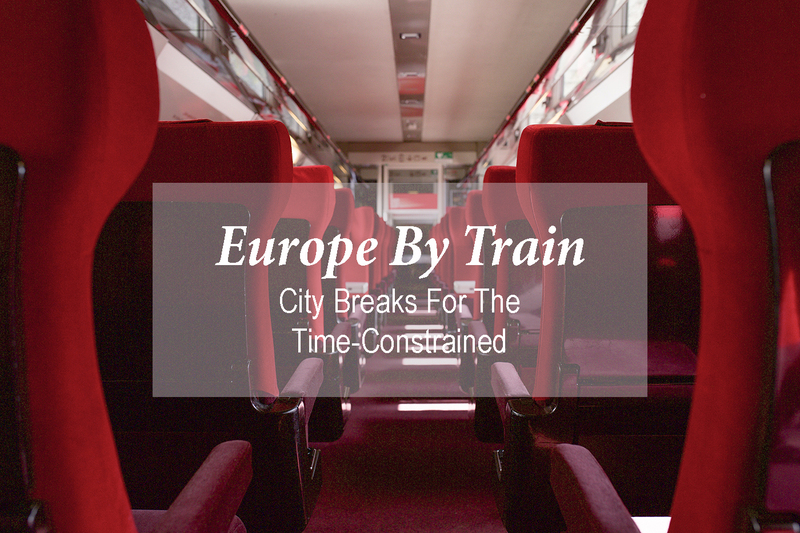 So I’ve put together some pointers to help the time-constrained among you, briefly experience some of the most vibrant cities in Europe. And what better way to maximise your time than to city-hop with Thalys? *Antwerp can be swapped for Avignon, Valence, Aix en Provence or Marseille during Thalys’ ‘Sun Destinations’ extended summer schedule. 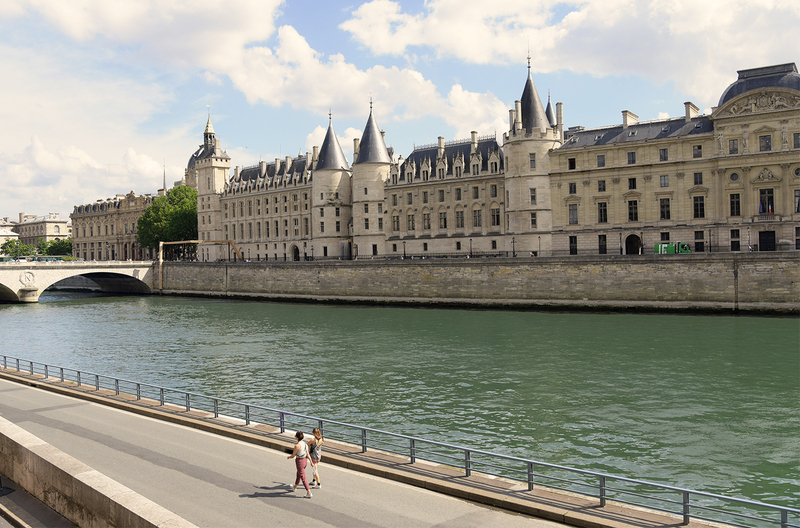 Travel from Paris to the French cities by TGV and on the international stretch on Thalys. Two nights is the barest minimum you can allot to any of these cities. Add a day to wherever you plan to include a day-trip. If you have less than five days my advice is, still, to base yourself in one city and stick to day-trips. Suggestions under ‘things to do’ are just that. Choose one, or max. two, big items from the list per day and work around it for a slower pace. Also, these itineraries assume an early arrival. Allow more time for later flights and if you expect jet-lag to be an issue. My favourite neighbourhood to stay in Paris is the Marais (3ème & parts of 4ème) or Saint Germaine (6ème). Canal St. Martin (10ème) and Bastille (11ème) are also lovely areas and somewhat less expensive. Buy a 2 day museum-card if you intend visiting three or more museums/ monuments. Pick up carnets of ten metro tickets to save time (and some cost). Pre-book a wine experience at Les Caves du Louvre after an early lunch. Walk across the ornate Pont Alexander III to Les Invalides (Napolean’s tomb) and continue towards the Tour Eiffel. Be warned, the Champ de Mars gets PACKED by evening. Have dinner nearby and wait until the Tour Eiffel lights up (if you manage to keep awake until then.) I much prefer climbing up the Arc de Triomphe to waiting in line at the tower. Head early to Notre Dame Cathedral (opens at 8 a.m.) to beat the crowds. Visiting the tower or crypt costs extra and requires more time. Sainte Chapelle (opens at 9 a.m.) for its splendid stained glass on the upper floor. Explore the Latin Quarter and Saint Germaine. Musée de Cluny for its medieval art collection (Closed until mid July). Marvel at the incredible facade of the Institute de Monde Arab. Taste macarons, chocolates, Parisian pastries…especially Pierre Hermé’s Ispahan. Linger in the Luxembourg gardens. End with a picnic by the Siene and/or a boat cruise timed for the Eiffel Tower illumination (If not done on day 1). Cruises by Vedettes du Pont Neuf depart from near Pont Neuf. Buy tickets in advance at the venue or online. Or go up to the viewing terrace of Tour Montparnasse for spectacular night views. There is a restaurant in the tower that is a good option for lunch or dinner for the views alone. Pop into the Musée de l’Orangerie (closed Tue.) to check out Monet’s famed Nymphéas if you have time. Head to the Marais area (metro St.Paul.) for a leisurely walk around Place des Vosges and back to Saint Paul in a loop. Shop in the iconic department stores on Boulevard Haussman: Printemps and Galeries Lafayette are both worth a visit for the views from their top floors. Visit the Sacre Cour basilica and explore the bohemian vibe of Montmarte. The historic centre is the best bet. Our apartment on Vrijdagmarkt couldn’t have been more central. Don’t forget to look around the magnificent Central station as you arrive. It finds a place on many top ten lists. And stop by the stall selling chocolate coated strawberries as you exit. The Grote Markt is quite as beautiful as its Brussels counterpart and way less crowded. Join an afternoon walk to orient yourself or just explore the side streets radiating from the square. The Cathedral of our Lady is the highest Gothic building in the Low Countries and holds an impressive art collection including a series by Ruben. If you have time for only one museum in Antwerp, choose the Museum Plantin-Moretus on Vrijdagmarkt for insights into the history of printing and publishing in Europe and to view an amazing collection of printing equipment and illustrated books. It is the only museum on the UNESCO heritage list. Visit the hip Elandje district around the port. The MAS’ (Museum aan de Stroom) themed collections merit more than one morning. But go to admire the architecture and for the views from each floor as you ascend. Shop on the Meir shopping street. Or if you have deeper pockets, in the diamond district beside the train station. Cross the Scheldt to the left bank through the Art Deco Saint Anna pedestrian tunnel for sweeping views over the Antwerp skyline. Binge on beer, chocolates, mussels and fries! There’s a wide choice of hotels and B&Bs. Of the three hotels I’ve stayed in, the location of the Hilton Grand Central opposite the Central Station can’t be beat, as also the relatively basic 9Hotel nearby. The photo themed Zoom Hotel in the Ixelles was a lovely boutique option. In the Benelux countries (not quite sure about France since I haven’t travelled impromptu there without pre-booking), you can hop onto any one of the frequent local trains plying to or from the above towns on any given day, which makes for hassle free day-tripping. Check prices and schedules here. Start at the jaw-droppingly grand, Grand Place. If you are visiting during Assumption weekend (16-19 August ’18) you’ll be in time for the themed flower carpet display. Alternatively, join a guided walk to orient yourself. Several free walks depart from the Grand Place usually between 10.00-10.30 or 13.00 -14.00 hrs. Or book a themed private walk. Visit the Gothic Town Hall. Pop into the Galeries Royales Saint-Hubert, the beautiful 19th-century pedestrian gallery, for a waffle break at Maison Dandoy or at Mokafe. Check out the Mannekin Pis if you must. Did you know there’s a Jeanneke Pis? Head to Place Catherine for a casual (no seating) seafood lunch at De Noordze – Mer du Nord. Take the metro back to Centraal and visit the Cathedral of St.Michael & St. Gudula. In the afternoon, visit the Atomium (yet to do it myself) along with the greenhouses in the royal palace grounds of Laeken. For dinner try the ‘Tram Experience‘ for a gourmet meal in a quirky setting. Choose your activity for this day depending on your interests. If museums are your thing my top picks are the Oldmaster’s Museum, Musée René Magritte and the Belgian Comic Strip Center. I went on a self guided walk hunting down some architectural gems around the city and ended at the Musical Instruments Museum, a gorgeous Art Nouveau edifice with a lovely cafe that offers panoramic views. Why not attend a beer brewing masterclass with Beer Spot that includes lunch? In the afternoon, explore the Sablon area, a beautiful part of town with its Gothic church, hidden passages and a host of cafes and gourmet chocolate shops. The Ixelles is another lovely and less touristy neighbourhood with great shopping on avenue Louise. There’s a Sunday market around the Midi station that is highly recommended. 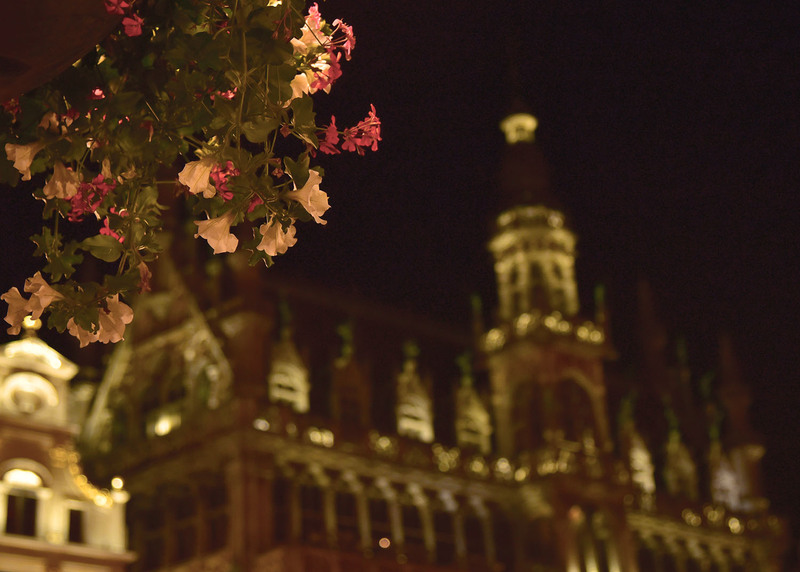 Wherever you spend your evenings, remember to return to the Grand Place on one night to witness it in its illuminated glory. Add a day (or swap all of the activities from day 7 if you aren’t into museums or architecture or aimless wandering) to visit Bruges or Ghent. They both deserve at least a night each but are both easily accessible by local train and doable in a day. Leuven is an even quicker day-trip option. And another that I regret missing both times is Dinant, the home of Adolphe Sax, inventor of the saxophone. Except, take a late evening Thalys to Rotterdam (1:10 hrs) on the final day. There’s a choice of lovely boutique hotels in the centre. The Student Hotel in Kralingen, close to Erasmus University, is a most stylish budget option with a tram stop just round the corner. A tourist day card costing €13.50 is valid across (most) public transport including ferries and water taxis in Rotterdam and the Hague region up to end of services on day of first use. Start with a waterbus ride to Kinderdijk and its nineteen heritage windmills. Have early lunch at the Fenix Food Factory with its wide choice of food and beverage outlets. The result of Rotterdam’s near complete destruction during World War II is a refreshing urban landscape. 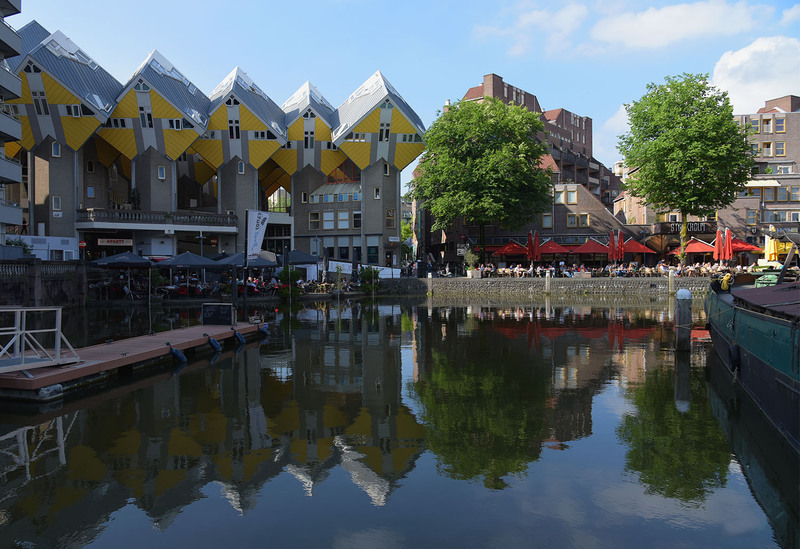 Cross the river (by foot or water taxi) to the centre for an inner city walk (or join a guided tour) that should cover some of the city’s iconic buildings like the one-of-a-kind Markthal and the Piet Blom designed yellow Cube Houses. End at atmospheric Oude Haven, one of Rotterdam’s oldest ports. Check out the Wittehuis – Europe’s first ‘skyscraper’ that miraculously survived Luftwaffe bombing – and its Art Deco cafe. Visit Delfshaven, from where the Pilgrim Fathers set sail for the New World, for its historic canal-side buildings. It takes 15 minutes from the centre by metro. If in the mood to tick off one more city, hop on a train this afternoon to nearby Delft or the Hague. Caveat; Stopovers are not permitted on a single Thalys ticket so you’ll need to book Brussels to Rotterdam and Rotterdam to Amsterdam as two separate journeys. Also most Thalys journeys are exclusively international. But I found the website does allow booking direct from Rotterdam to Amsterdam Centraal, as well as to Schiphol airport. Do compare prices between local trains and Thalys. The latter was surprisingly cheaper when I tried a mock booking. Accommodation in Amsterdam is pricey. I found a lovely Airbnb rental in the most picturesque part of Keizergracht, but Airbnb’s might not be the best option in the city centre going forward. Little boutique hotels beyond the canal grid are worth looking at if you are on a budget. Or even in one of the neighbouring towns. I regretted not having spent a night in Haarlem. It is just 15 minutes away by train and feels like everything Amsterdam must have been before the explosion in tourist inflows. Get yourself a two day Amsterdam city card if you intend to hit several of the city’s impressive museums. If not, the 24hr transport tickets worth €7.50 each and valid for a 24 hour period from the time of first use are the most economical options. Available aboard trams or at Centraal Station. 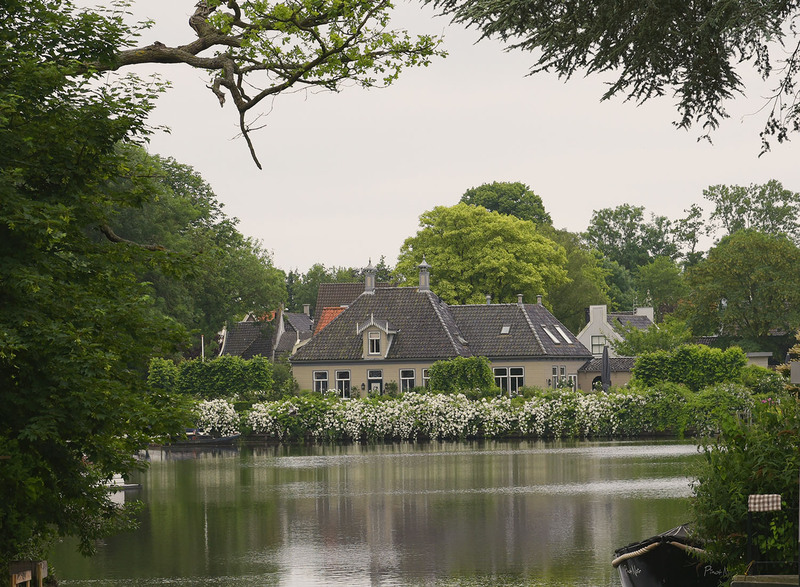 Explore Amsterdam’s network of canals on a boat. A Blue Boat ride is complimentary on your Iamsterdam card. A small group tour is pricier but way more experiential, especially at sunset. The Begijnhof is a secluded courtyard for a quiet wander. The Museum of Our Lord in the Attic is a literal hidden gem, a throwback to the religious upheavals of the 17th century. If you missed the beer experience in Brussels book a beer tasting at Brouwerij ‘t IJ, a brewery housed in a bathhouse beside a traditional windmill. Walk around the lovely Jordaan and De Pijp neighbourhoods. Hop across to A’DAM lookout for a dinner with a 360º view (dinner is optional) and if you dare, try swinging out from the edge of its viewing deck. If you are into art (and even if you are not!) 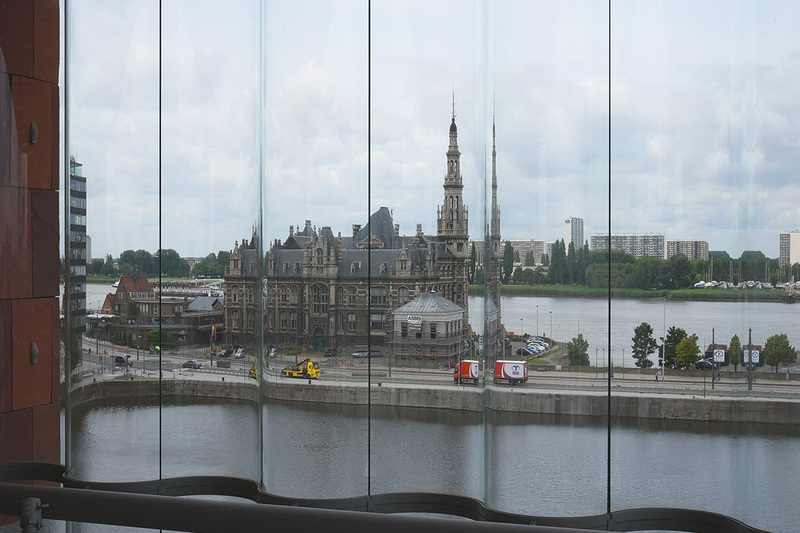 head to the Rijksmuseum to at least check out the highlights. There is also the Van Gogh, the Stedelijk, the Hermitage and the Anne Frank House along with a host of other smaller but interesting museums to choose from, but more than two might be a tad ambitious on this schedule. Join a small group tour of the red light district. 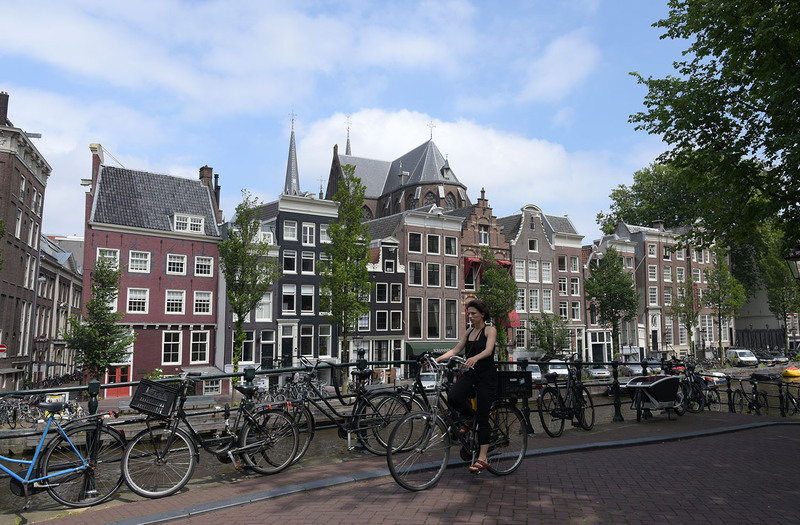 Its history is a fascinating part of Amsterdam’s liberal culture. Ditch the compulsion to fill your final day with sightseeing and savour the city. Linger in Vondel park, stop for a drink in one of the Brown Bars, pop into the Foodhallen, get out of the crowded touristy centre for a lovely meal in a ‘local’ neighbourhood like Fizeaustraat. Or Deventer, where I spent two delightfully slow days following the press-trip, if you desire a totally non-touristy experience. All these towns are easily accessible by train. Thalys is the only hi-speed International train service that links key destinations across four countries: France, Belgium, Germany, Netherlands. At speeds of 300kph, travel time across its longest route of 521km from Paris to Amsterdam is reduced to just over 3 hrs. High frequency of trains between major stations – up to 23 daily departures from Paris Nord to/from Brussels Midi – adds flexibility to speed. Standard with access to free wifi, electric sockets at each seat and a welcome bar with beverages and snacks. Comfort offers all of the above with more spacious seating and flexible fares. Premium comes with additional benefits including full meals and choice of beverages served at one’s seat, international newspapers, access to comfortable lounges near (some) stations, and on-board taxi booking service in Paris and Brussels. Happy travels…no matter where life takes you! Disclaimer: This post is sponsored by Thalys. I’m exhausted! I’d need a month for this. Heaps of great ideas, and your photos are, as always, enticing. Like you, I can’t believe people who think after two days somewhere there’s nothing left to see, although I sometimes wonder when I return to Warsaw where I’ve probably spent 2 years in bits and pieces since 2012. Every time I find I’ve only scraped the surface. But I’d find it hard to encapsulate the city as you’ve done so neatly with your cities. Haha true! The reason I mention at the beginning that it is important to pick one or two main things from the list and work around it. Your Warsaw explorations are always interesting and so well written Meg. I wouldn’t hesitate to use them as a guide if I were to visit. Wish i could have joined Gilly and Jo while they were there. Of course pick out a few things! I’d waste time in a new place these days. One venture a day seems to be my limit. I wish you could have too! Wow, you’ve given the suggestions much thought. Of course, you are an experienced traveler with a good sense of place. Thank you Sally. Would love to know your favourite things to do in any of these cities. I can remember attending a convention in Utrecht in 1990 after a brief stopover in Amsterdam. Then back to Amsterdam to hire a car and drive through Europe as far as Vienna. However they wouldn’t let us take the rented car into Hungary so we had to take a bus to Buda-Pest. Apparently too many rented cars were being stolen and driven into some of the smaller countries where they were legitimized there. You have such a wealth of travel tales Ian. You should consider compiling your stories into a travel book. Madhu I write for my personal pleasure and am surprised there are some like you who actually find my tales interesting. Thank you so much for your encouragement. I stand in awe of your travel tales and professionalism. These look like great itineraries, Madhu. I can’t believe I have not yet been to Paris! I hope to remedy that next year, so your tips will come in handy. Love your photos, as always! Ha sometimes the most obvious destinations get left out. Like Singapore and the USA in my case. I finally got to Sri Lanka earlier this year. Thank you for reading Dhara. Have a great week ahead. Thanks for all the great information Madhu. Spain and Portugal are on our short list for travel next year and we are kicking around the idea of flying into Paris and taking a train from there. I will be showing these itineraries to hubby. Glad you found this useful LuAnn. Please do let me know if you need any more information. The flower festival in Brussels seems like my kind of thing, and it’s close to our wedding anniversary. No exciting plans for that this year but these all sound pretty tempting options, Madhu. 🙂 🙂 Lots of suggestions! How can anyone get bored? Thanks for your advice. This is a very useful post for anyone looking to explore these countries. I was honestly exhausted reading it till the end, and can’t imagine how much effort you must have put into it! Thank you for sharing this. I know two people getting ready to travel to Europe and this will be helpful for them – really nice tidbits here and I am bookmarking it for myself Madhu. On one of our first trips to New York City we did not know about Shortcut passes we could buy ahead and we lost time – and well- from experience I know he value of having posts like this and how handy they come when planning and going along! Also – gotta love Europe and so cheers to this post! Ahhh – madhu! I was thinking about you and wondering how you are doing! So nice to see your reply in my feed! Much belated thanks dear Gilly. Have missed your recent travel posts. Look forward to catching up. Hi Madhu! I kept this in my inbox to read when I had a chance. Great post! I love Paris, lived there in my early 20s and could easily spend a week there. I agree, Marais is the best area to stay at. I still love the touristy things like spending a day walking up the hill of Montmartre to the views of the Sacre Coeur and wandering down the alleys and checking out all the shops and cafes. There is so much to explore and so many different neighborhoods. I still love the bateau mouches on the Seine and just wandering at night when it is all light up. I was just there with my family in June! It was wonderful to finally show my daughter Paris. How have you been? Any new travel plans? Hello Nicole, thank you for reading and much belated thanks. Yes, Paris is always a good idea 🙂 I was supposed to visit in April with my sister but had to cancel last minute because my visa arrived too late! That’s a long story, but I miraculously managed to score a one year Schengen visa last month so hoping to return early next year. Thanks Sue. Trains are so convenient in some of these countries. Have been dreaming of getting on one of the scenic trains in Switzerland or Austria. This is perfect for me ~ I’ve yet to get out an explore Europe like I should, and I need to spend some time in Amsterdam so itinerary #2 looks good 🙂 Wishing you a great and glorious finish to summer Madhu, take care. You too Randall, and much belated thanks. Hope to get to Prague sometime soon. No photographs of that beautiful city have kindled my desire to visit as much as your latest gallery. Travelling in Europe by train is the best thing one can do. You get to see various facets of Europe which can never been seen while travelling by air. Whenever I travel to Europe I make it a point to travel at least once on a train. I agree, trains are the best way to travel across Europe. Thank you for reading.